 Rabbit anti Human Interleukin-31 antibody recognizes human IL-31 (interleukin-31), a 141 amino acid T-cell derived cytokine and member of the IL-6 cytokine family, which shares homology with oncostatin M, cardiotrophin-1 and LIF (leukaemia inhibitory factor). IL-31 is preferentially produced by type 2 helper T cells (Th2) and signals through binding to the IL-31 receptor consisting of IL-31 receptor A (IL-31RA/GPL) and oncostatin M receptor B, activators of STAT1, STAT3 and STAT5. IL-31 is an important mediator of T cell mediated immune response and is particularly linked with diseases of the skin, including dermatitis and pruritic atopic skin inflammation, and is also implicated in bronchial inflammation. Antisera to human IL-31 were raised by repeated immunisations of rabbits with highly purified antigen. Purified IgG was prepared by affinity chromatography. Castellani, M.L. et al. (2006) Interleukin-31: a new cytokine involved in inflammation of the skin. Int J Immunopathol Pharmacol. 19 (1): 1-4.